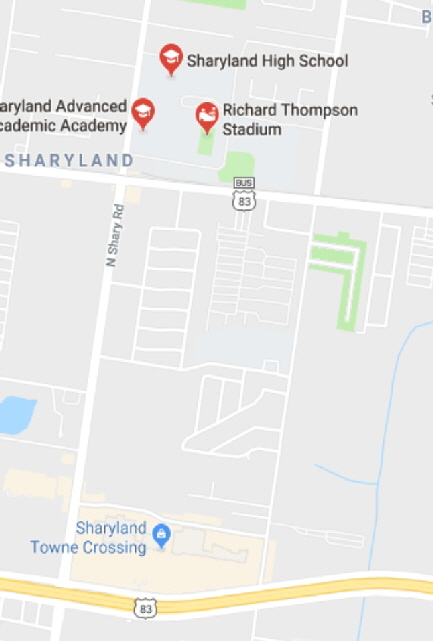 Sharyland Choir is conveniently located near Interstate 2 (83). If you have any questions related to our location, please call us at 956-580-5300, and we will be glad to assist you. Turn North on Shary Road and travel 1.5 miles. SHS is on the East (right) side of the road immediately after Business 83.